Between my birthday, friend’s birthdays, even my dad’s birthday, I seem to have spent most of the last fortnight either eating or drinking – and I can’t say that any of the things that have passed my lips could be considered particularly healthy. With my wedding just five months away *OMFG* as well as several other weddings for friends Ian and I share, I have a feeling the run up to October is going to be quite busy, not to mention full of fizz and food. With all of that in mind, and feeling a little bit sorry for myself when I stepped on the scales earlier, I decided to make myself a more ‘virtuous’ breakfast this morning. As anyone who follows my blog will know, I absolutely love breakfast and can usually be found scoffing eggs (in all of their wonderful guises) or avocados and smoked salmon. 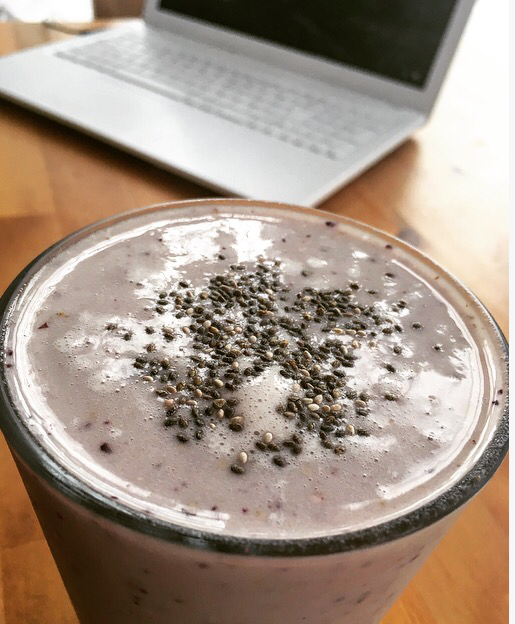 I really do believe that a powerful breakfast sets you up for the day, but feeling like I need something just a little bit lighter today I opted for one of my go to smoothies. 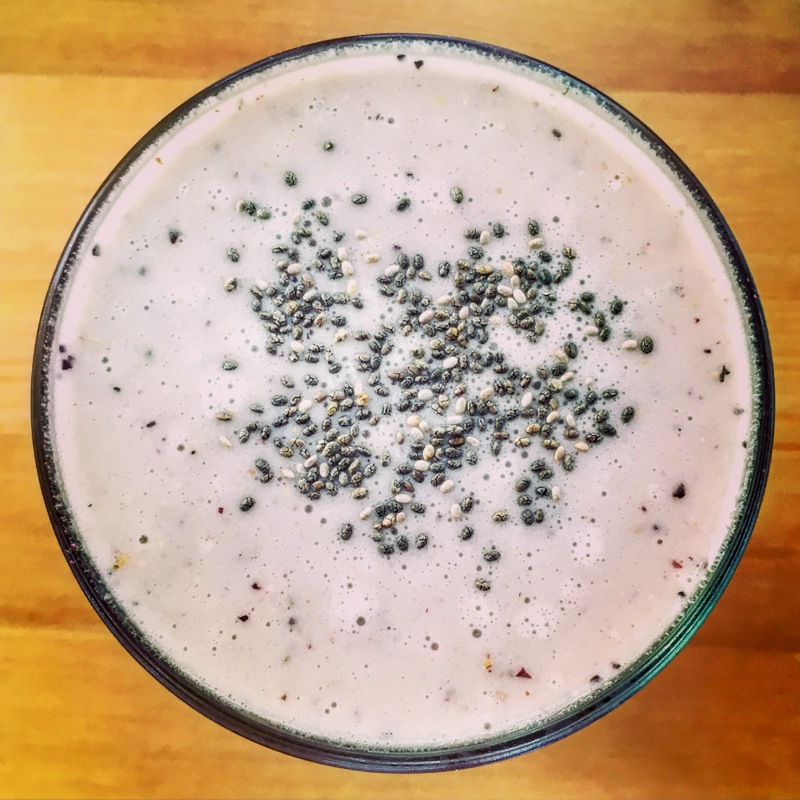 I’m a big fan of smoothies because they are a quick and easy way of filling your body full of healthy ingredients (and a whopping big dose of protein) without having to turn on the stove. 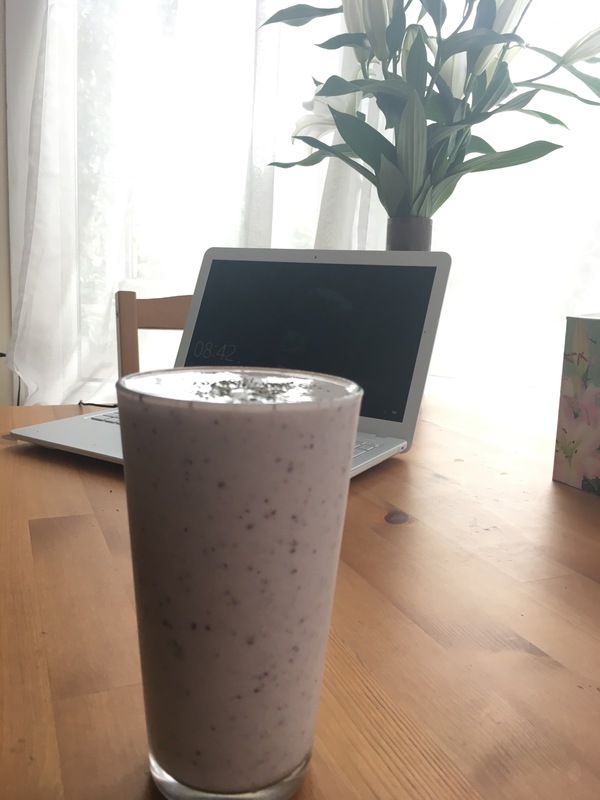 One of my particular favourites is the breakfast protein smoothie which I have doctored from the second Body Coach book. (I also have another go to smoothie that involves peanut butter and bananas but I will save that for the weekend; keep your eyes peeled on the blog if that sounds like something that might be up your street). 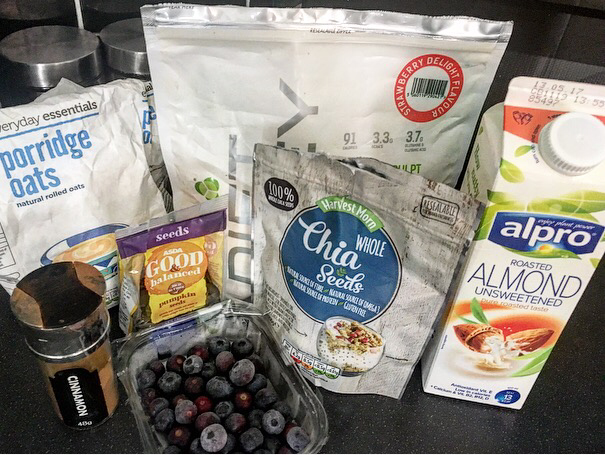 Anyway, I’ve dropped the ingredients in below for you but I haven’t bothered writing the method out (sorry not sorry) because you just quite literally blitz all of it together in the biggest Nutribullet cup, or a blender. Note: if you don’t have a Nutribullet you really should consider getting one; I think I use mine at least once a day and it’s probably the best £99 I’ve ever spent. Removes harder bits that a blender just doesn’t and gives a smoother drink.